In 1930 the great economist Keynes predicted that, over the next century, income would rise steadily, people's basic needs would be met and no one would have to work more than fifteen hours a week. Why was he wrong? 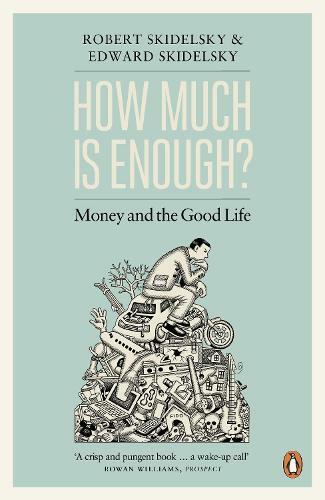 Robert and Edward Skidelsky argue that wealth is not - or should not be - an end in itself, but a means to 'the good life'. Tracing the concept from Aristotle to the present, they show how far modern life has strayed from that ideal. They reject the idea that there is any single measure of human progress, whether GDP or 'happiness', and instead describe the seven elements which, they argue, make up the good life, and the policies that could realize them. ROBERT SKIDELSKY is Emeritus Professor of Political Economy at the University of Warwick. His biography of Keynes received numerous prizes, including the Lionel Gelber Prize and the Council on Foreign Relations Prize for International Relations. He was made a life peer in 1991, and a Fellow of the British Academy in 1994. EDWARD SKIDELSKY is a lecturer in the Philosophy Department of the University of Exeter. He contributes regularly to the New Statesman, Spectator and Prospect. His previous books include The Conditions of Goodness and Ernst Cassirer: The Last Philosopher of Culture.